The Sightmark100x Tactical Spotting Scope kit is the ultimate integration of Sightmark’s Triple Duty Concept of hunting, shooting, and tactical uses. 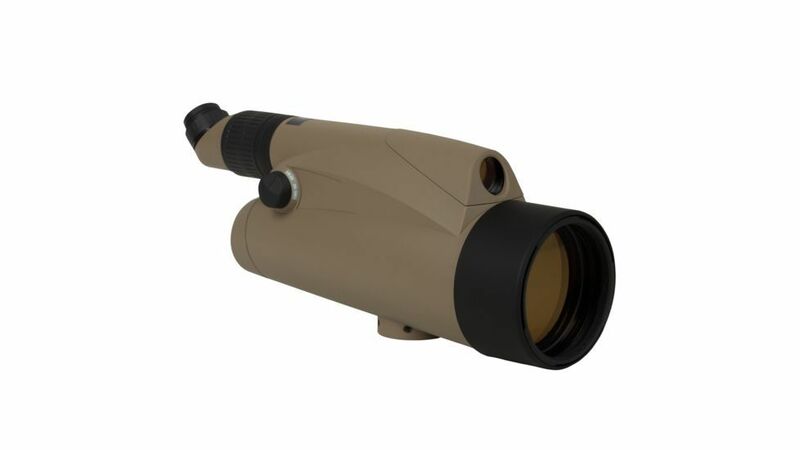 The spotting scope features a dual channel optical system, allowing for short and long distance viewing. At the top of the scope is a magnification indication window that gives the user quick and accurate information on the exact magnification the scope is currently using. The rubber grip focus and magnification adjustments provide the ability to quickly change range and focus. The spotting scope features a 360-degree adjustable eyepiece, giving the viewer the ability to comfortably look through the scope from any angle. With a 100x magnification, the unit is ideal for close up and long distance viewing. The scope can be mounted on a tripod and used while in the case. Additionally, the unit is camera adaptable so the viewer can attach a digital camera to capture images in the field. The kit includes a lens cloth, user manual, and a built-in sunshade, making this a desirable product for diverse purposes. Sightmark - Make Your Mark!